The Center for Diversity Affairs (CDA) has been charged by the UAMS administration to take on a leadership role in increasing diversity and improving cultural competency across the four domains of the institutional mission: patient care, education, research, and outreach. The CDA originated in 1976 under the auspices of the College of Medicine as the Office of Minority Affairs, which was later re-named the Center for Diversity Affairs. Its purpose was to increase the number of medical graduates from traditionally underrepresented groups (African Americans, Hispanics, Native Americans and Pacific Islanders) and to support students from these groups during their medical training. 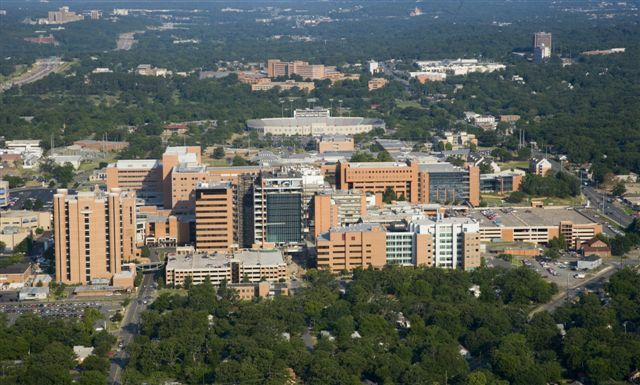 In 2010, the CDA’s mission at the University of Arkansas for Medical Sciences (UAMS) was broadened when Chancellor Dan Rahn established it as the campus’ “center of gravity” for diversity and inclusion at UAMS. This was done in recognition of diversity as an institutional core value, critical to the fulfillment of the mission of UAMS, as stated in the 2020 Strategic Plan: We are committed to the importance of the diversity of UAMS leadership, faculty, staff and students in order to enhance the education of our students, reduce racial and ethnic health disparities in our state, and provide an environment in which all employees and views are welcomed. The CDA operates to serve all components of the entire UAMS institution, including the six academic units, seven institutes, and University Hospital, in its efforts to become a more diverse, inclusive, and culturally competent academic health center, through the provision of leadership, programs, and resources, as well as collaboration and partnerships. Diversity: Individual differences (e.g., personality, abilities, and life experiences) and group differences (e.g., race/ethnicity, age, culture, socioeconomic status, sexual orientation, gender identity/expression, language, and country of origin as well as political, religious, or other affiliation). Equity: Equality, impartiality, justice, and fairness as it applies to opportunity, access, resources or quality of health care.